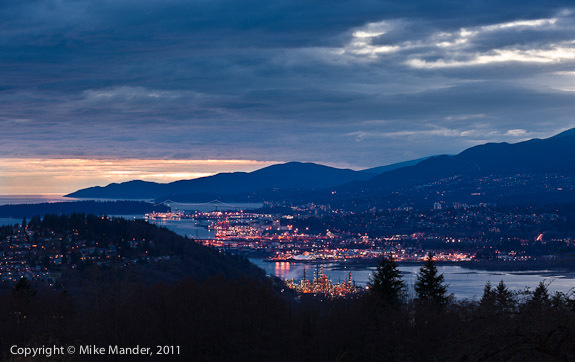 Today I took a drive east, up the Fraser Valley with my friend Bill. 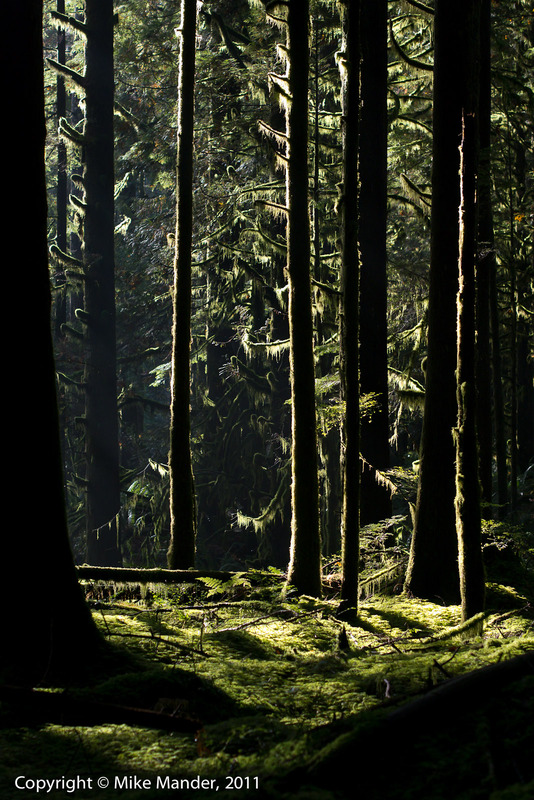 My goal was to find some fall colours but it quickly became obvious that it was already too late in the year for that, so we decided to drive all the way out to the Eagle Festival near Harrison Mills. 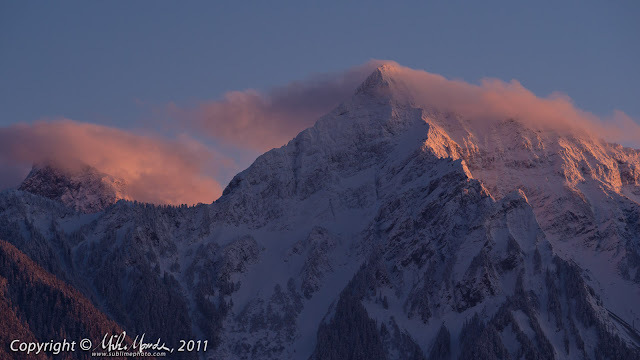 Well actually, in the end we drove all the way past Hope and up the Fraser Canyon a short way, hoping for some really snowy mountains, but alas we lost the light there pretty quickly. 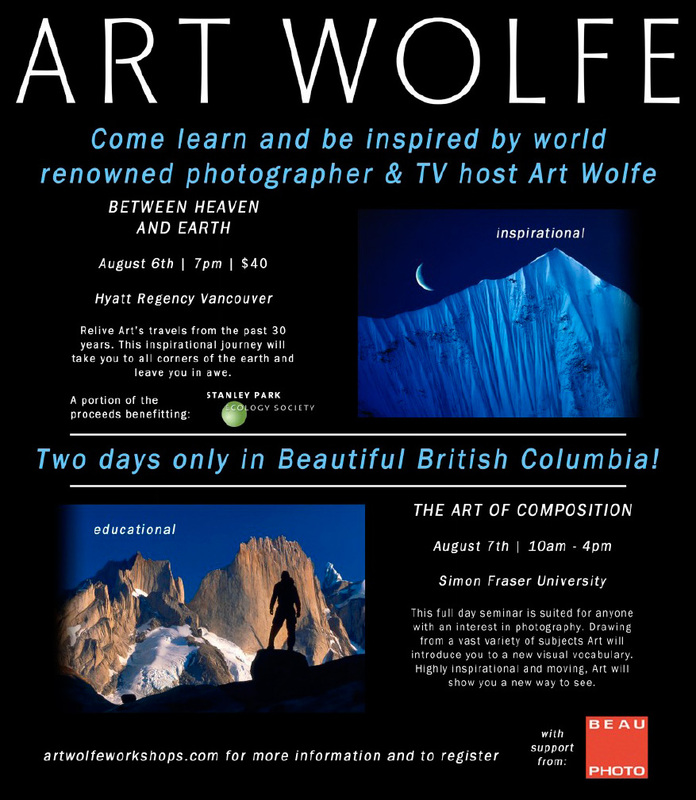 We just made it back along the Lougheed Highway, opposite Mt. Cheam, in time for the above photo with the last rays of daylight hitting the peak. 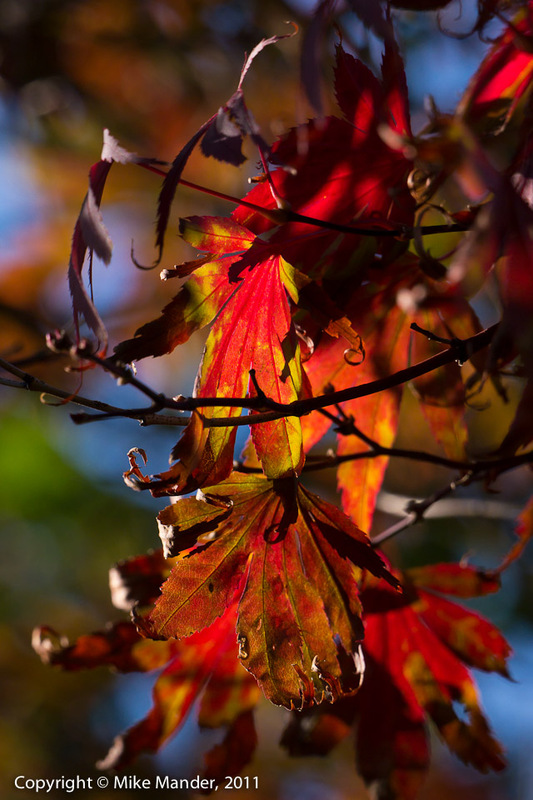 In search of fall colours? On a beautiful (but cool) fall day today, I wandered around UBC for a few hours, taking in the colours of the changing leaves. A photo shoot I did for my friend Maissanne, a teacher by day and a bellydancer by night. Click on the above image for a gallery with 40 of my favourite photos I chose after quickly going through all the images from the shoot. She will be choosing photos from this session for a future update to her website. I finally had some time to shoot with the CoolPix P7100, other than time-lapse, and took it down to Granville Island in the evening to test its high ISO, its VR and is low-light focus. For a P&S, its high ISO shooting was quite impressive and I am happy to report that virtually all the issues I had with the original P7000 have been addressed. Not that the original P7000 had any issues in the image quality department, but it had a terrible AF mechanism that had a hard time locking on in low light or even in good light sometimes, if the contrast was low. The P7100 nailed the focus time and time again. Although it slowed down a bit in really low light, it pretty much always seemed to lock focus... at least as well as any other high end P&S I've used. Almost all of the UI sluggishness and quirkiness is gone and the shot-to-shot time for RAW shooting seems improved too. The new front mounted control wheel works nicely as well. Anyway, this is now a very worthy contender for the top high-end-raw-shooting-P&S title! 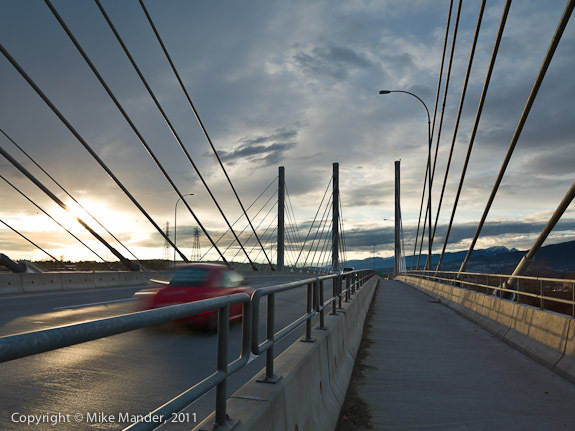 A time lapse movie shot from inside a rental minivan, coming back from a PPOC-BC trade show in Prince George. 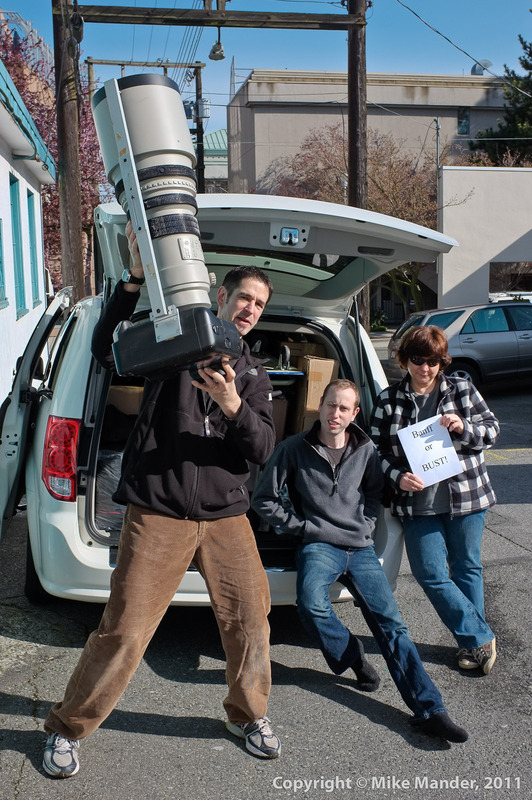 A Nikon P7100 was mounted to a passenger side hand-grip with a Gorillapod. The camera was set to time-lapse mode, taking one shot every 30 seconds and the resulting frames are played back at 10 fps in this video. Unfortunately the battery died before we got all the way back. However, still very impressive battery life! The camera was running for over 9 hours straight and took about 1100 frames. 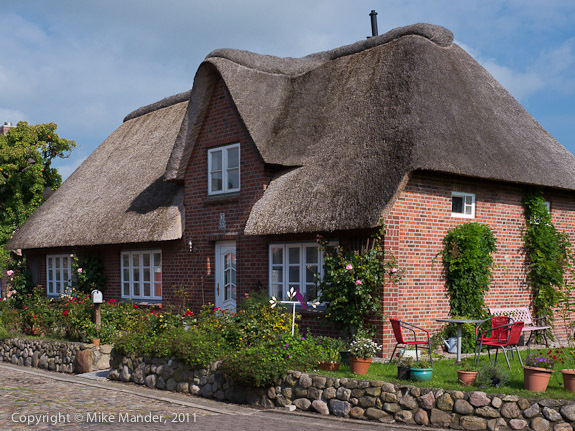 Click here (or on the above photo) for a gallery of images from the first day on the island of Föhr in the North Sea. Geotagging is active for most images, but unfortunately I forgot to take the GPS tracker out of the car for the ferry ride and so those photos are not tagged. Wonderful and relaxing is how one can describe life on this little island. It really is far less hectic feeling than the other areas of Germany we visited, although Bavaria had a similar feel to it. The wonderful thatch roof houses are great subjects to photograph as well! We have been lucky with the weather although a big thunder storm just rolled through and I'm not sure if the weather will recover later this evening still. I will incorporate today's images into a future gallery, unless I end up shooting a ton more later, although again, that seems unlikely at the moment. 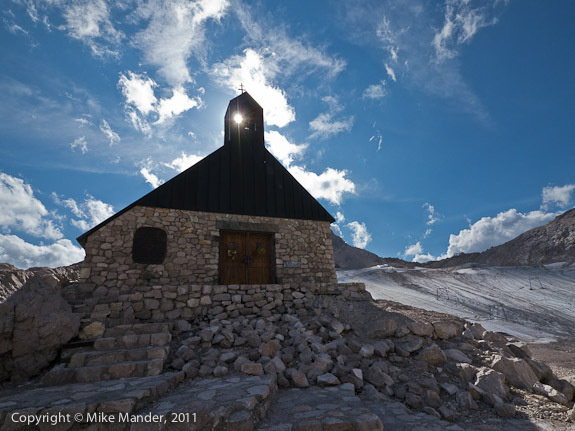 Zugspitze Timelapse from Mike Mander on Vimeo. 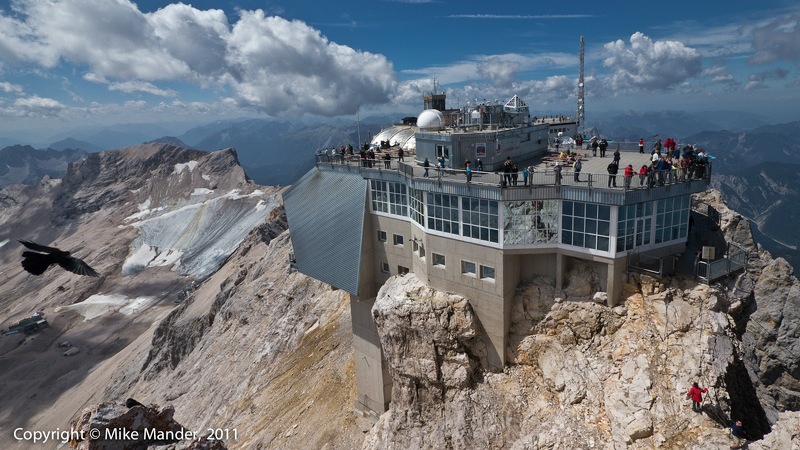 Short time-lapse movie I hacked together, with the first sequence from my hotel room in Grainau and then the next day from the top of Germany's Zugspitze at 2960 meters (9700 feet), the highest point in the country. Music clip from the song Reaktion by Carbon Based Lifeforms. Well, this is actually day 7 already, and we just got back from the Alps. On the way back to Reutlingen, we took a slight detour to see the Benedictine Abbey at Ottobeuren. I have a fast, free and reliable Internet connection and decided to post a gallery of images from today, out of sequence but I wanted to get something else up before hitting the sack. Tomorrow afternoon (for me), I will follow up with a gallery of pictures from the Alps, specifically the Zugspitze, the highest point in Germany at 2960 metres, and also the Alpenspitze... plus a few I took at a Bavarian folk fest. 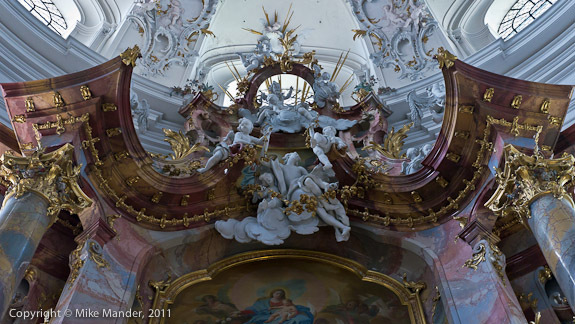 For lots of photos inside the extraordinary abbey, you can either click here for the image gallery, or on the above photo. 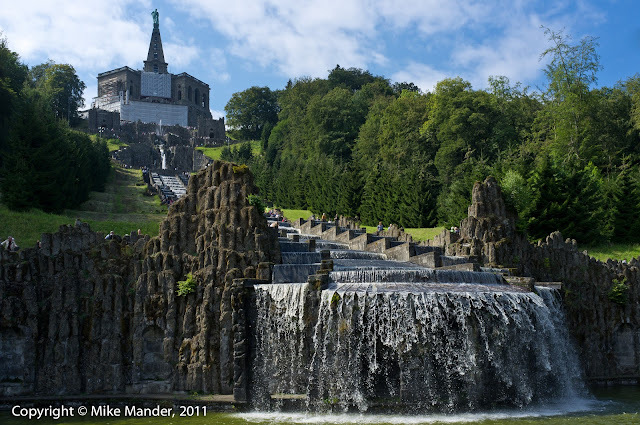 Greetings from Deutschland! Well, despite being severely jet-lagged and fatigued, I thought I had better post something before hitting the sack. I was up for nearly 35 hours yesterday (flight day), and after only 6 hours of sleep last night, today was still tiring. Before I get into the photos, I wanted to mention that a massive stroke of luck delivered a small shipment of Panasonic's new autofocus Leica branded 25mm f/1.4 Summilux DG lenses to Beau Photo on Friday, my last day at work before flying to Germany on Saturday. Although the shipment caused my bank account to get lighter yet again, once I decided to take one of the lenses and shot some tests with it, I was ecstatic that I was able to secure one before my trip. Many of the photos following were taken with it. And yes, there are more available in stock at Beau Photo now! If you are a Micro-Four-Thirds shooter, this lens definitely deserves a look! Amazing makeup and prosthetic work by Lisa Bradley! A makeup job that was inspired by some lizard photos I had taken in Death Valley a few years back. The lovely model is Emily Backman. Calling this a "makeup job" though, doesn't even begin to hint at the tremendous amount of work Lisa did, not only in applying the prosthetics and makeup to Emily on the day of the shoot, but also in the months of preparation, creating the prosthetic moulds and casting all the many small ridges, bony protrusions, horns and spikes. Emily started having the makeup applied at 5am, which took many hours to complete. Then she and Lisa spent the day at a makeup trade show and finally in the evening, after 7:30pm, we did a very quick shoot for about an hour and a half and a couple of different locations. Emily still had an amazing amount of energy at the end of the day, even after wearing this outfit for over 12 hours. The images were all shot with my EOS-7D and any additional lighting was simply supplied by one or two 430 EXII flashes on radio slaves. No light diffusers were used as I wanted dramatic shadows to really bring out the amazing texture on these prosthetics. For the first time since Fujifilm started shipping the X100, we are actually caught up on pre-orders and have one in stock, ready and waiting for the next lucky customer who wants one! I have put it in our showcase, so I don't expect it will last too long. 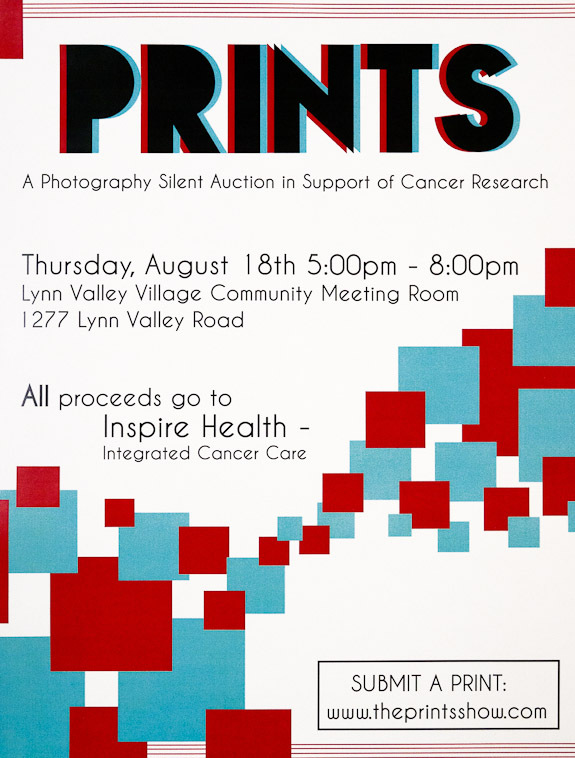 Click image for a larger, more readable version! Over the next few days, this blog entry is going to be updated with a review of the GH2 and a variety of different lenses, including the 7-14mm, the 14mm f/2.5 and 20mm f/1.7 "pancake" lenses, the 14-140mm f/4-5.8 Mega O.I.S. (Optical Image Stabilization), the 45-200mm f/4-5.6 Mega O.I.S. and the 100-300mm f/4-5.6 Mega O.I.S. While I have no intention of generally replacing my Canon EOS-7D system with a Panasonic system, because I was looking for a smaller and lighter kit with some lens versatility (and good image quality) for my upcoming trip to Germany later in the summer, I indeed did go and buy a GH2 and a variety of lenses for myself. 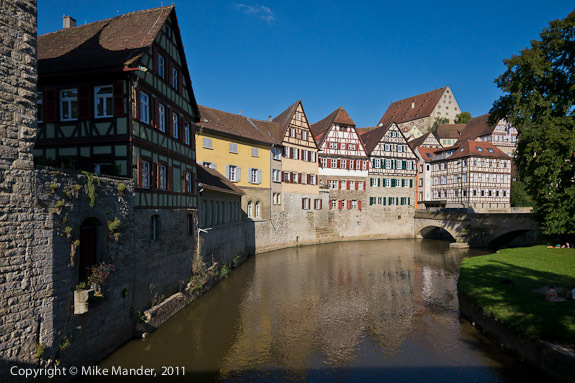 I am also planning to take my Fuji X100 to Germany of course since it is small, light and has superb image quality. 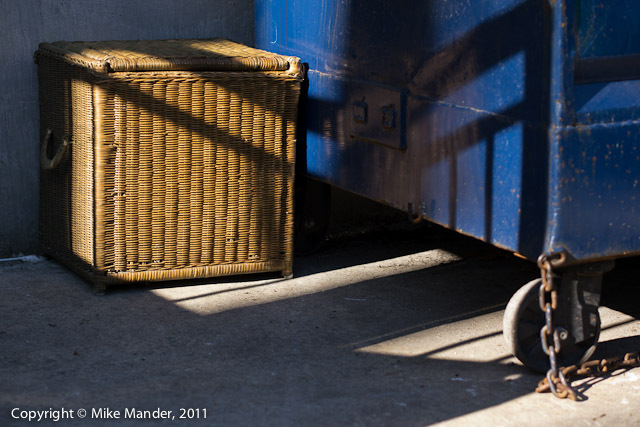 It still has better colour, better dynamic range and is much cleaner in low-light/high-ISO/time-exposure situations when compared to the GH2. However, while I feel Fuji made an ideal choice for a fixed focal length camera (35mm equivalent), I definitely wanted an ultra-wide and a longer telephoto for some shooting situations and just couldn't bring myself to cover those focal lengths with one or more P&S cameras, which is what I had originally planned on doing. 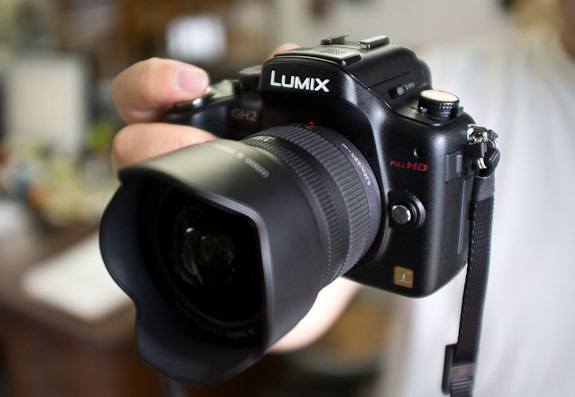 Make no mistake, the GH2 has excellent image quality, but it simply is not quite up to the X100 with its substantially larger sensor, or the top end APS-C digital SLRs, like the Canon EOS-7D or Nikon D7000. That said, under normal to moderately low lighting conditions, the GH2 image quality can easily be on par with the likes of the X100 and EOS-7D, just not under really difficult (high) contrast or really dim lighting. Hasselblad says "check", so being Canadian, you might not get all that excited. However if I say "cheque", does that perhaps get a little more interesting? How about a cheque amounting to 10% of the purchase price of a Hasselblad camera or digital back that you can then can spend on anything else at Beau Photo. Now are you excited? I'm thinking the answer might be... YES! 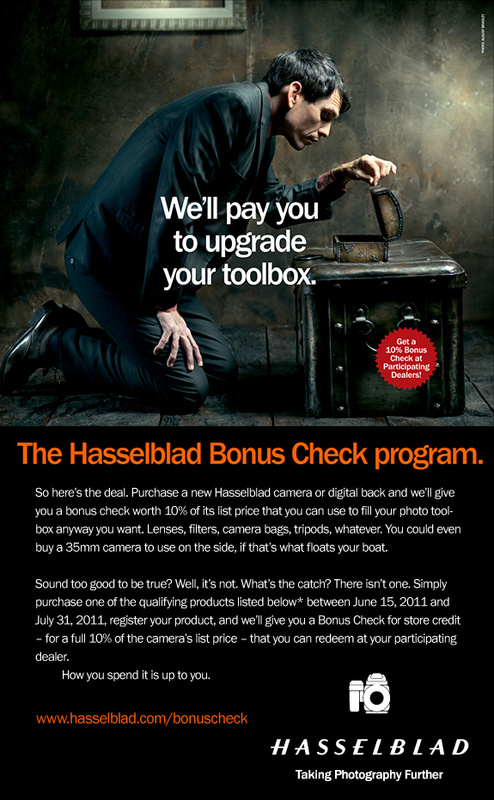 Click on the above image to be taken to Hasselblad's info page for details on terms and conditions etc. You have until the end of July! 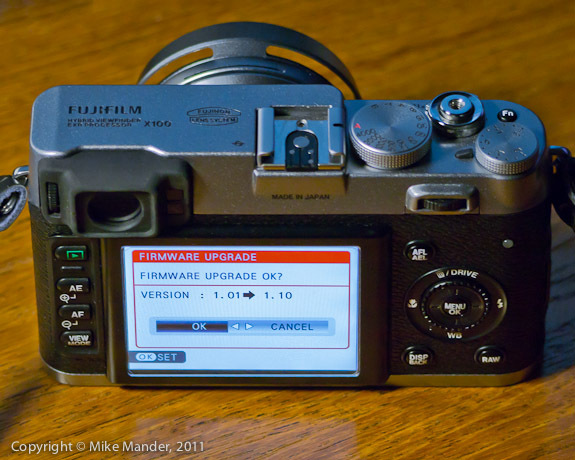 X100: Firmware v1.10 has arrived! The long awaited major firmware update has arrived! A link to the appropriate page is below the above image, a photo of my own X100 that I took just before initiating the update. After a few minutes of playing around, I have to congratulate Fujifilm for carefully listening to user feedback with a responsiveness that I have rarely, if ever, seen from any other camera company. This is no subtle update: major changes to the operation of the camera have been made, and all this after a few months of end-user and reviewer feedback! In particular, I want to mention image playback, which has been changed so dramatically that it has gone from being one of the most frustrating cameras I have ever used used in that regard, to very nearly the best! 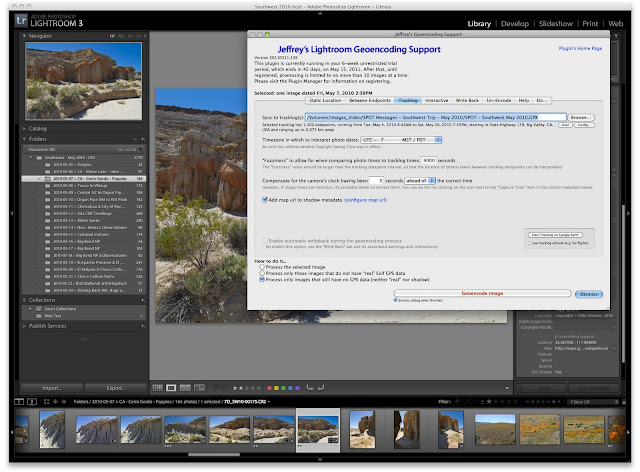 Not only can one still very quickly zoom in with a single button press, but also switch between info screens, to a blank "image only" view, also zoom in from the histogram/full-info view, switch to previous and next images in almost every possible mode and finally, the current mode you are in now sticks for good, until you go and change it yourself. Anyone who has spent any time with an X100 will be astonished at how dramatic and effective the changes are to image review and playback. Well done! When it comes to shooting, all the annoying "automatic" mode changes, ISO changes etc. when switching between P/A/S/M modes, turning the power off, initiating playback, all those "...what the hell did the camera just do without me asking it to?!" quirks seem to be pretty much gone for good now. Hooray! Epson Stylus Photo R3000 - in stock! 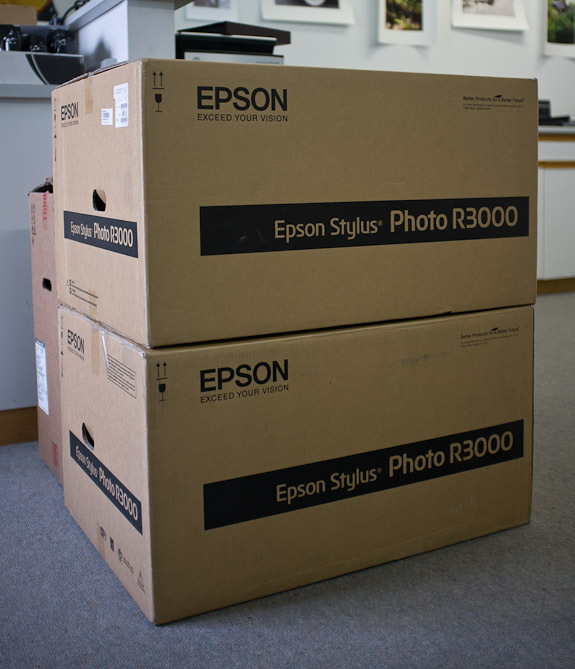 We finally received a shipment of Epson's latest R3000 printers. This all new desktop 13"x19" printer boasts much larger ink cartridges than the R2880 (over twice the capacity) and, similar to its larger cousins like the Pro 4880 or 4900, the cartridges are now installed in a separate compartment and not directly on the printhead. Unlike the R2880, the R3000 now allows loading of both the photo-black and matte-black inks for hassle free printing on either glossy or semi-gloss RC and fibre-based inkjet paper, as well as on matte fine-art or proofing papers too without having to switch out the black cartridge. The printer is also WiFi enabled and has Ethernet and USB 2.0 ports for connectivity. The new print heads also have a low-friction ink repellant coating that should reduce the need for head cleanings, and with tiny 2 pL droplets, your photos will print with incredibly smoothness and essentially no visible dot pattern. Black & white images will render dead-neutral (if you so desire) under pretty much any light source and with the right paper, colour print longevity can be upwards of 100 years. Panasonic: GH2 is in stock! It's a miracle! After being on order since December 2010, we finally received a shipment of GH2 bodies! We now have a few, both a body and a kit with the video-optimized 14-140mm stabilized zoom. In addition, our rental dept. 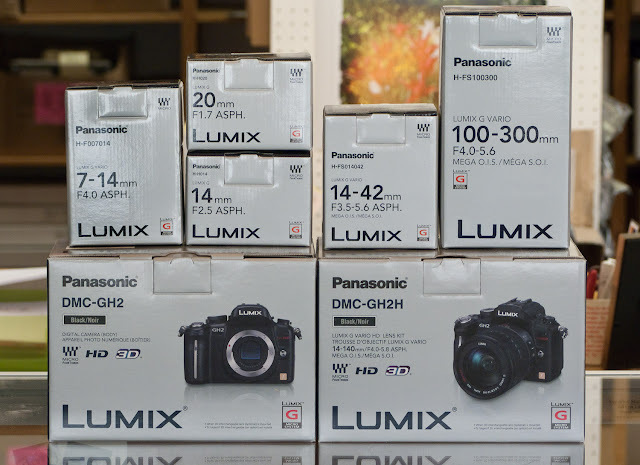 now has numerous Panasonic items for rent, including the GH2 kit with the 14-140mm, a 7-14mm f/4 ultra-wide zoom, a 14mm f/2.5 pancake prime, the 20mm f/1.7 pancake and lastly, the excellent 100-300mm f/4-5.6 OIS zoom. I have spent a bit of time shooting with the GH2 system now, and plan to do so a little more over the next couple of weeks. 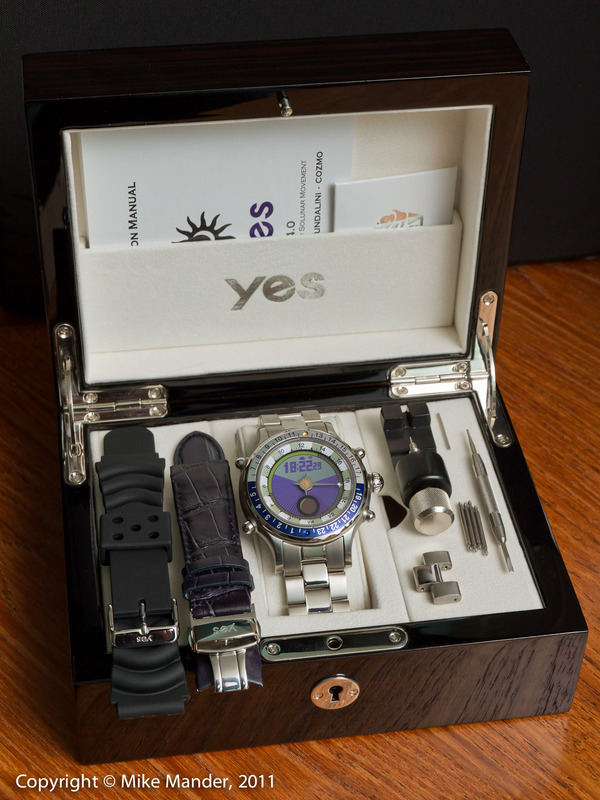 Watch for a hands-on review by the time our next newsletter hits at the beginning of July. 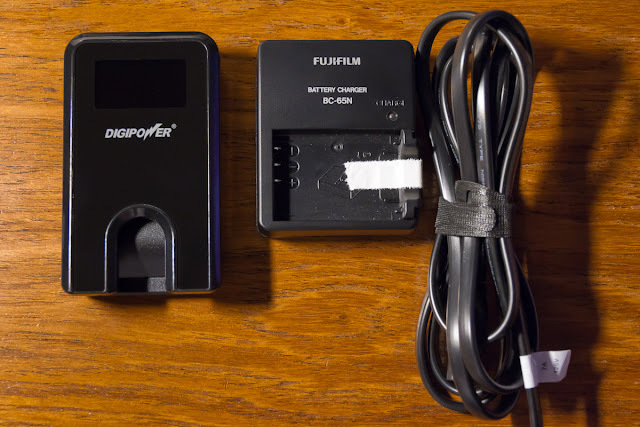 While Fujifilm's charger that is included with the X100 works great, it can be a bit of a pain to travel with. First off, looking at the above picture, you will see the piece of white "gaffer" tape on it. That tape is on my charger to keep the little plastic insert from getting lost. Without this insert, the NP-95 battery will not stay in place for charging and this little bit is not very securely fastened and pops off quite easily. Secondly, have a look at that power cord, it's huge! And it is stiff. Total overkill and it takes up a lot of extra of room when packing. Most chargers that I have, for all the different cameras I own, have little fold-out prongs and are very convenient to pack when traveling. After a bit of searching, I found a Fuji compatible DigiPower charger available from one of our suppliers and after bringing one in for testing, I decided to order a few for stock here at Beau. I bought one for myself too. Recently I worked on set with my Fujifilm X100, shooting stills during the filming of several episodes of a production called Libelle The Series, the brainchild of my friend Julia Dordel, producer, actress and PhD holder. 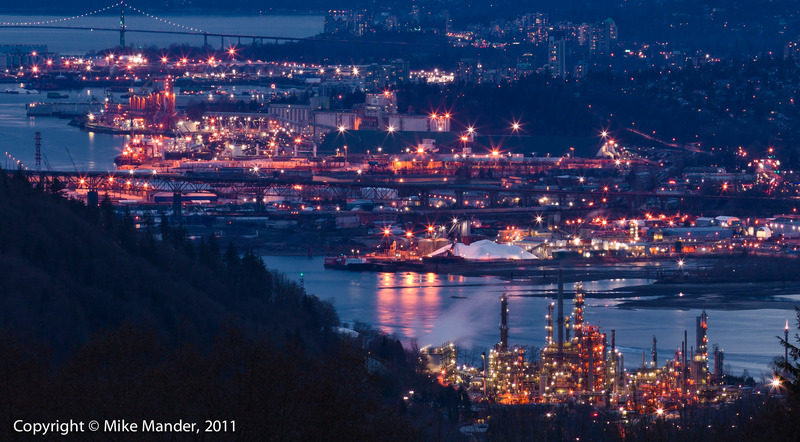 If you're interested, see page 8 of UBC's Branchlines publication for an article on this project. 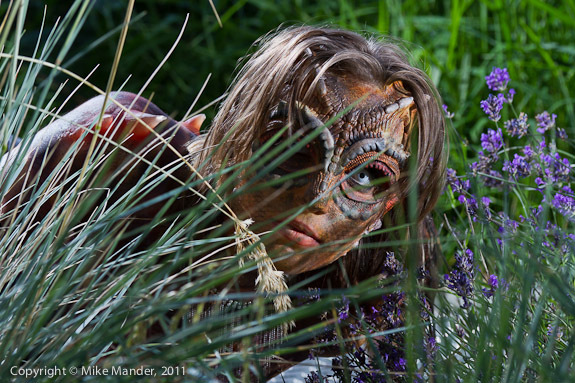 Note that this production started out being called "Dragonfly The Series", but due to a naming conflict it was changed to Libelle, the German word for dragonfly. The X100 was ideal for this shoot since it is super quiet, especially when a filter is mounted as it deadens the already quiet camera even more. It also performs extremely well in low light and high ISO settings with outstanding image quality and amazingly effective auto white-balance. The X100 is even quieter than a standard DSLR in a sound-proofing enclosure (a camera blimp), so I had way more freedom to shoot close in and intimate with the action, without having to worry about camera sounds being picked up by the microphones while filming. I wandered around after work, giving the X100 a real workout with an IR filter (Hoya R72). 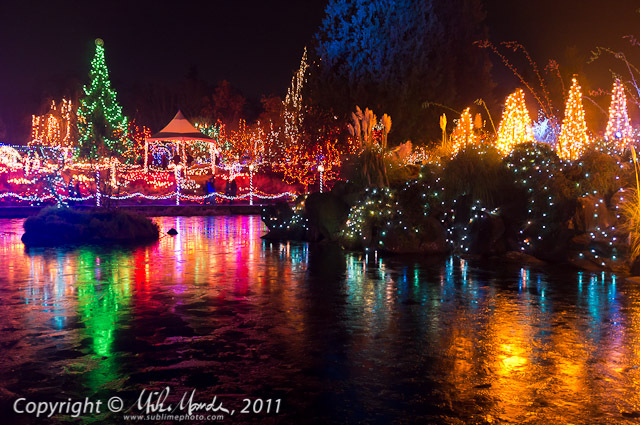 Note that even at ISO 6400, the X100 is not all that grainy. The vast majority of the graininess you will see has been added by me. 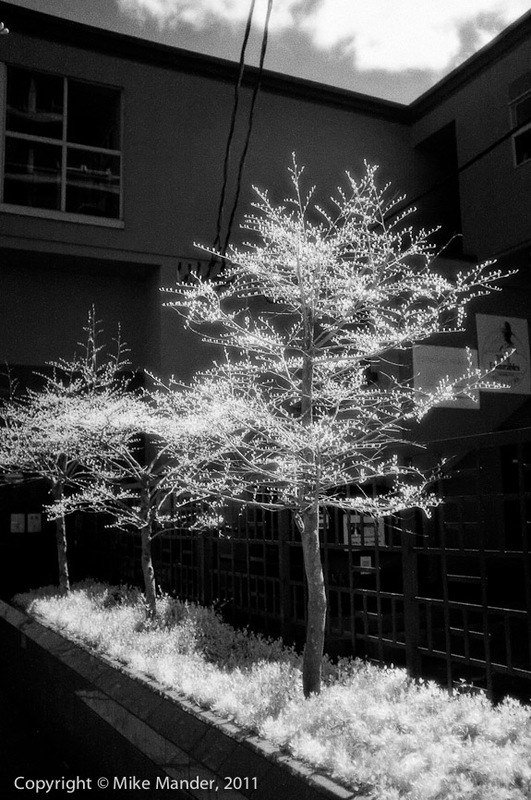 Personally I love the look of grainy and "glowy" IR film, however some might prefer less grain. Heck, maybe even I will too at some point, but for now, I am personally liking the look. Admittedly, when downsized the grain looks more like noise and less like "film grain", but at the full image size the grain is a little more clumpy and "realistic" looking. Lastly, you'll note some new links on the thumbnails in the image gallery, in the form of little "globe" icons. Clicking there will take you to an overview map of where the photo was shot, then clicking on the GPS coordinates below the overview map will open a new Google Maps page where you can zoom in, poan around etc. The tracklog was recorded with a Qstarz BT-Q1000XT recorder and GPS metadata was added in Adobe Lightroom as per a previous article. The accuracy seems good to a radius of about 10-50 feet I'd say. As a followup to my posting from March 27th, after the Hasselblad Event, I have finally had time to edit the 20 or so photos I wanted to put in a gallery. There are 100% crops available so you can see the amazing resolution of the 60 megapixel H4D-60, coupled with Hasselblad's excellent lenses. Please read the notes in the gallery for further shooting info. 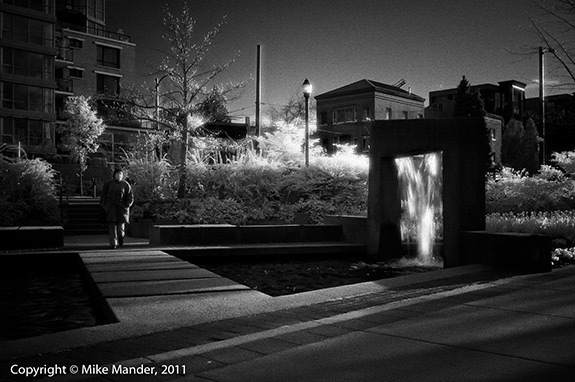 Ever since the X100 was announced, I was curious about its ability to possibly shoot infrared. 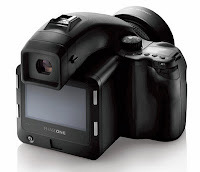 With a large, highly sensitive APS-C sized sensor promising clean high ISO, a contrast-detect AF system that should allow for focusing in IR light without any manual focus offset or camera recalibration, and its hybrid viewfinder that should allow one to either see "through" a near-opaque IR filter with the EVF, or use its OVF for direct viewing, I figured it had a chance. 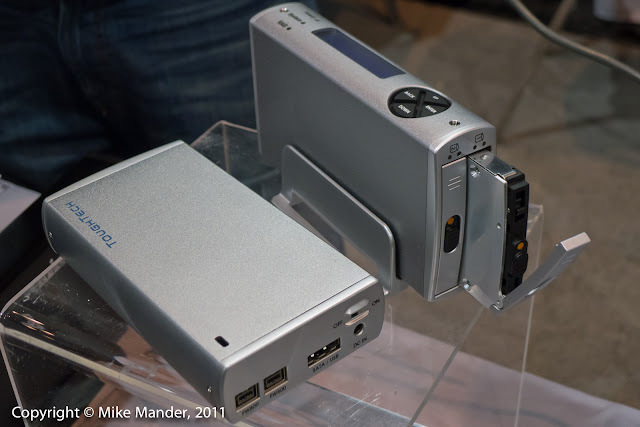 I even emailed Fujifilm and mentioned how cool it would be if they made a special edition IR-enabled X100 since they are pretty much the only company that has ever made specialty IR/UV enabled digital cameras. 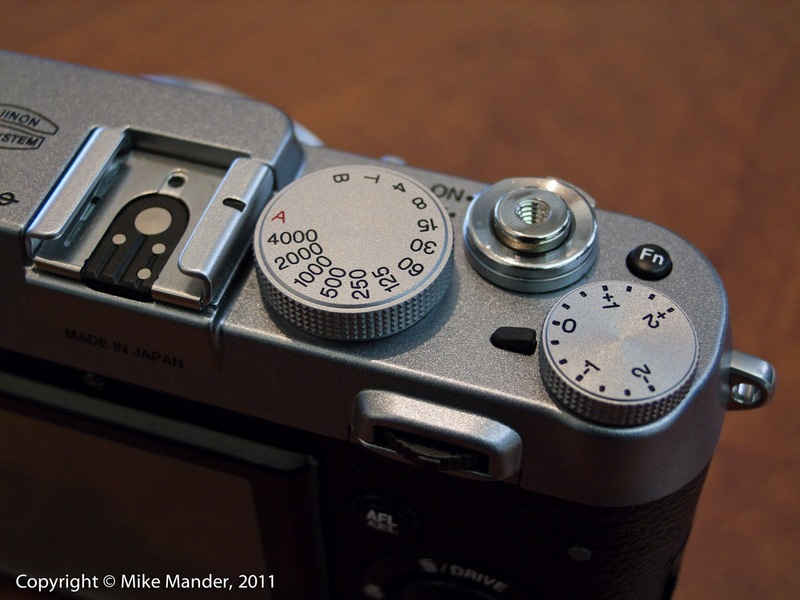 They could leave the standard IR-blocking filter off the sensor and then replace the internal switchable ND filter with an IR blocking filter instead, similar to a Tiffen Hot-Mirror filter. Then one could shoot standard colour images with the "ND" filter in place, now actually an IR blocking filter. Then to shoot digital IR, just turn off the "ND" and attach the visible light blocking filter of choice, such as a Hoya R72 or a B+W 093. One could then even do even more exotic UV photography with an appropriate filter... presuming that the Fujinon lens will "sort of" focus UV light... not an easy task actually. For sharply focused UV images, one needs very exotic glass, rare and expensive. Our fearless band of road warriors (Ken "The Killer" Shymka, Simon "Shrapnel" Burford and Carol "The Crusader" Polloni) are off to the Banff PPOC Convention in their battlewagon... a white Dodge Caravan rental. They are armed to the teeth with lethal camera equipment, ready to battle psychotic drivers, zombies and other nefarious camera stores. Well okay, maybe not zombies... and I'm exaggerating about the other stores too. In any case, I wish them well on their journey! Finally... time with a production Fujifilm X100! I have finally been able to shoot with a full production level X100 and now I can post images without any restrictions from Fujifilm. This production camera does have noticeably better image quality than the prototype I used before. Amazingly enough, its lens is even sharper (edge-to-edge) and low-light/high-ISO shooting seems substantially improved too. While still visible, I feel that the somewhat unusual (for a pro-level camera anyway) off-axis "bright light source flare", that can occasionally show up in night photos, is definitely reduced on the production camera as well. My mother passed away three years ago today, after her seven year long struggle with cancer. In some ways it feels like a lot longer ago, in other ways, it's as though it just happened last week. 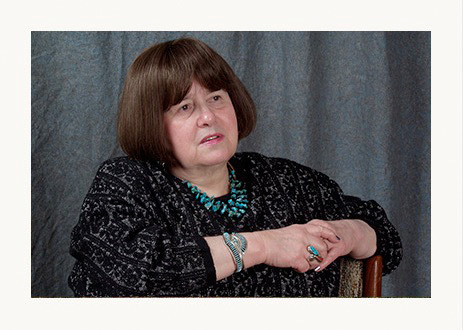 This blog posting is in remembrance of her. I won't say much other than give you a link to the memorial page on my website and a link to my blog entry where her sister Elisabeth, my father and I scattered her ashes off the coast of Hawaii near Milolii. I will finish with this: one of the things I miss most about my mother, something that still occurs on a regular basis, happens when I come back after a successful day of photography. My mother used to love photography and was especially enthusiastic about my own work in later years. 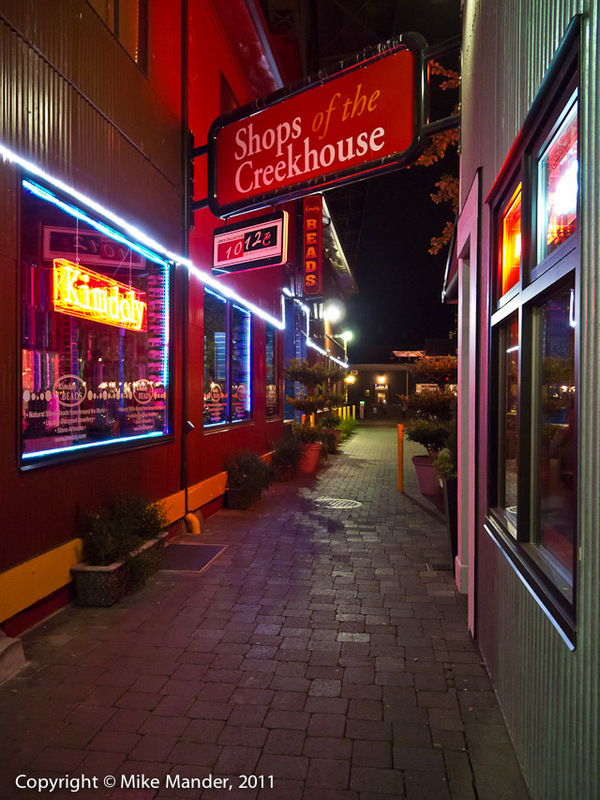 I would come back from a trip, or just from taking some photos around town here, and I would look forward to sending her a link to an image gallery like this, or years earlier, going over for a visit with my slides and a slide projector. 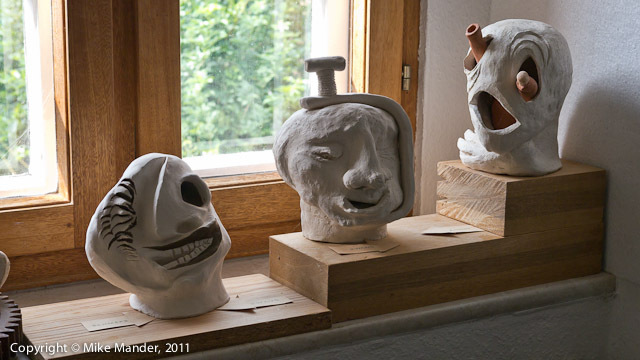 She would always look at my work and praise it when she thought it was good, or critique it honestly when she didn't. Anyway, it still happens to me that I come back from a day of shooting, and suddenly realize I am subconsciously looking forward to showing her the photos I took. One thing I am personally surprised at, is how few camera manufacturers put built-in GPS modules in their cameras. 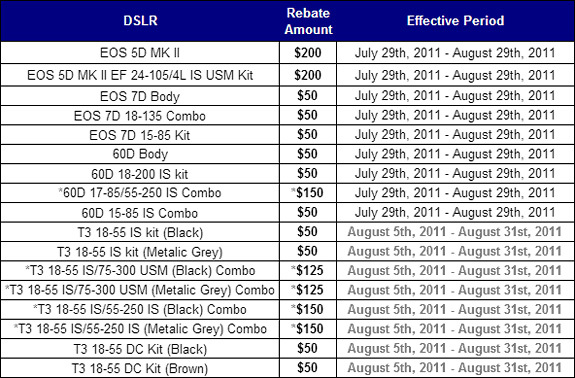 There are a handful of P&S models from a few companies, but the only DSLR I can think of is a recent Sony model. Nowadays, I expect a GPS chipset would likely cost a company $10 or less to include in their camera - heck, just about every cellphone made in recent years has one, even inexpensive ones and not just high end smart-phones. Some companies, such as Nikon with their GP-1 and Hasselblad with their GIL GPS receiver have some reasonably convenient add on modules for their cameras that will automatically geotag your images, but why not include these in all cameras?! We are in the process of calling our pre-order customers. So far, no sign of the accessories, although we do have some of the spare Li-Ion battery packs in stock already. Sadly, no extra cameras yet though... and I won't be getting mine yet since "real" customers have to come first! I will have to wait until the next shipment unfortunately... bummer. UPDATE: my mistake... unbeknownst to me, we did get a handful of filter-ring/hoods in (not enough to cover pre-orders), however not many... and the rest are backordered for now. Definitely no leather cases yet unfortunately. 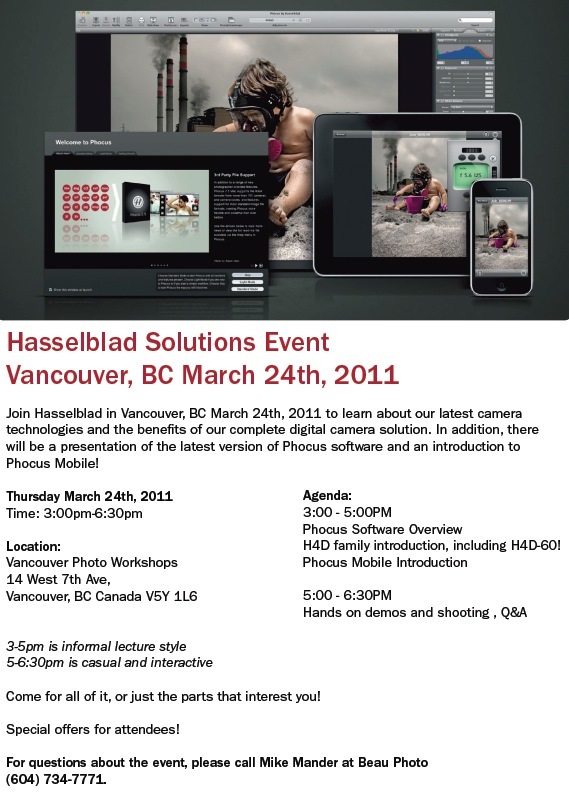 The Hasselblad event last Thursday was a success. 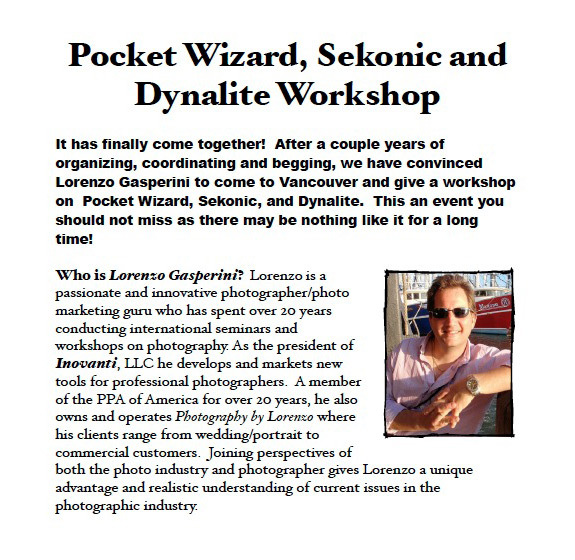 First and foremost, I want to thank Marc Koegel, Wayne Hoecherl and everyone at Vancouver Photo Workshops for generously hosting our Hasselblad event! Wicked Promo from Phase One! We have a sale that is going from Monday, March 21st to Thursday, March 31st. It's a very short promo. Trade in H or V series Cameras and lenses and save 50% off the selling prices of these items with the purchase of a back or upgrade. 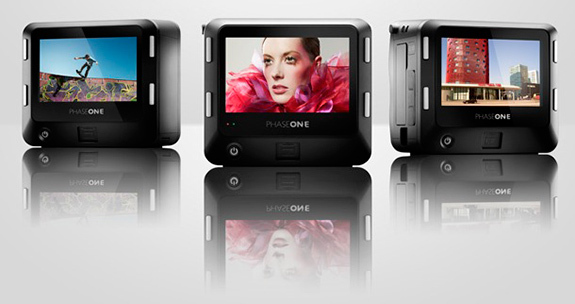 The competitive upgrade for Leaf, Hasselblad, Imacon etc. also works here. If you can believe it - normally $5500 for a 645DF and 80mm Schneider leaf shutter lens, trade an old 500CM with an 80mm lens and get the Phase One DF kit for only $2750. Remember that there also has to be a digital back as a part of this. Lenses can be traded for an equivalent lens and saves 50% as well. It's a blitz. The mechanical Hasselblad community is particularly excited about this one! This gives them way more for the old gear than it's worth used! 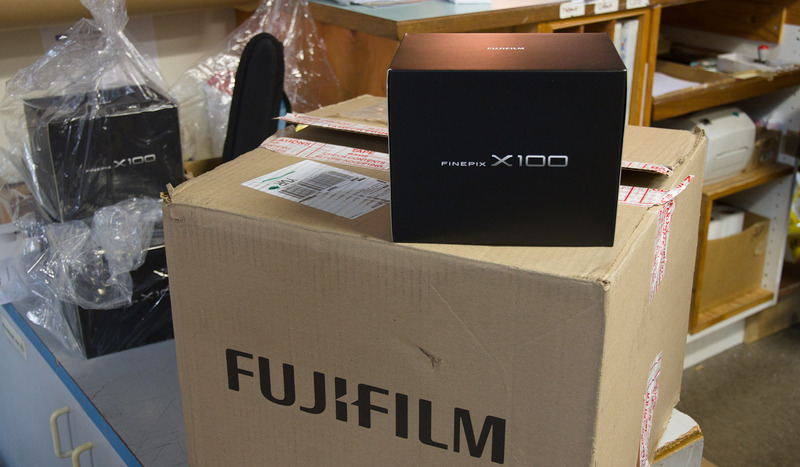 X100: First shipment arriving soon! After Fujifilm requested that I take down my image gallery with photos I had shot with a preproduction X100, I decided to hold off on a detailed review. Basically I found out that the camera I had did not have a final quality lens, nor did it have a final sensor, nor did it even have a final quality body as far as some of the external controls went! Initially our local Fuji rep was not aware of how far from final this unit was, since he had okay'd my initial gallery posting. In any case, a detailed review of such a non-production camera would have been unfair and not representative of what the final X100 will be like. However, I have found out that our initial shipment (which won't cover all the backorders) will be sent out to us at Beau Photo next week, so I will have many happy customers. Fuji Canada just received their initial shipment from Japan! However, since the shipment does not quite cover our pre-orders, sadly I won't be getting mine just yet. I am hoping that, with luck, I may have a generous customer, who might let me shoot some tests with a production X100 though, so hopefully a review of a final camera will be forthcoming within the next two weeks. The preproduction camera I shot with did have final v1.0 firmware loaded, so I may try to write up some further thoughts on its operation (mostly very good with only a few niggling quirks) however I may also hold off until the final camera test. Not sure yet since the next week will be very busy with other commitments. Phocus Mobile is a really sweet solution when shooting in the studio. You can control your camera and even view captured images with your Apple iPhone, iPad or iPod Touch. Imagine handing a commercial client an iPad so they can sit back, relax, and watch how your shoot progresses, rate images, zoom in on details and more. No more hovering over your shoulder, peering at the LCD on the back of your camera and getting in your way! Say you have a complicated lighting setup, and you are walking around a large set, adjusting lighting ratios or repositioning your strobes. Rather than walk all the way back to your camera or computer to take another test shot, just pull the iPhone out of your pocket, shoot and preview an image to see your changes, right on the spot using the awesome "Retina" display on your iPhone 4. Cool! Dual Lens Kits with D3100, D90, D7000, D300S: Get a $50 rebate when buying an AF-S DX VR 55-200mm, AF-S DX VR 55-300mm or AF-S VR 70-300mm with any of the above mentioned bodies and any additional Nikkor lens. Drum roll please....the winner of the ImageQuest registration package is Chris Mara from Coquitlam! Congratulations Chris! We look forward to meeting you at the convention. Thank you all for entering the contest. 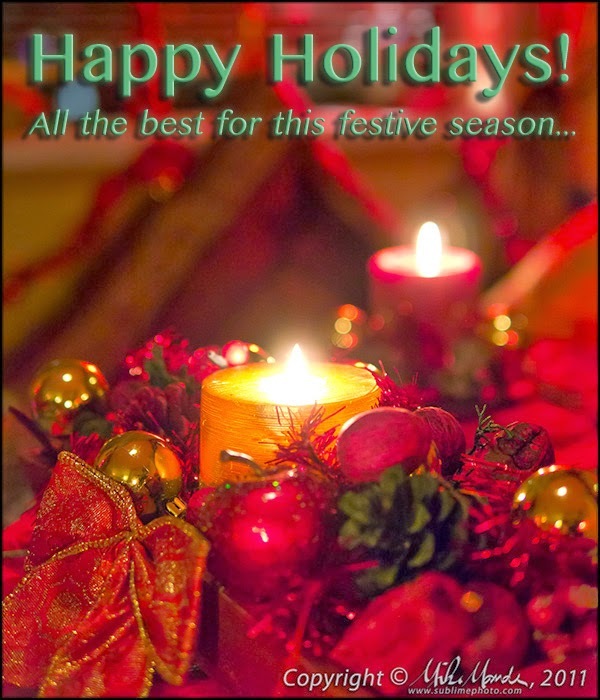 Stay tuned on Beau Photo's social network sites for any further contests and information on all things photographic. 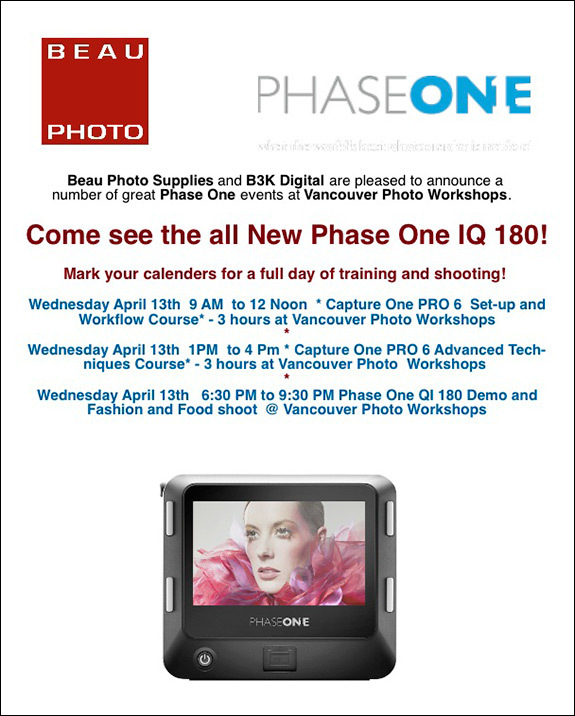 The highlight of the day for me was dropping by the Phase One booth and handling a brand new IQ180 medium format digital back. What a gorgeous screen! It is most definitely the best rear LCD I have ever seen on any camera and the touch functionality is very well done. In addition, the back really must have an enormous amount of CPU horsepower as it was handling the huge 80 megapixel files with ease. Zoom-in delays were minimal and scrolling and selecting images was smooth and intuitive. The screen mode you see above was definitely my favourite as one could see the image, a histogram and a blown-highlight preview screen at a glance, and all it took was a tap on the small histogram to pull up a huge and very readable full-screen RGBL histogram. 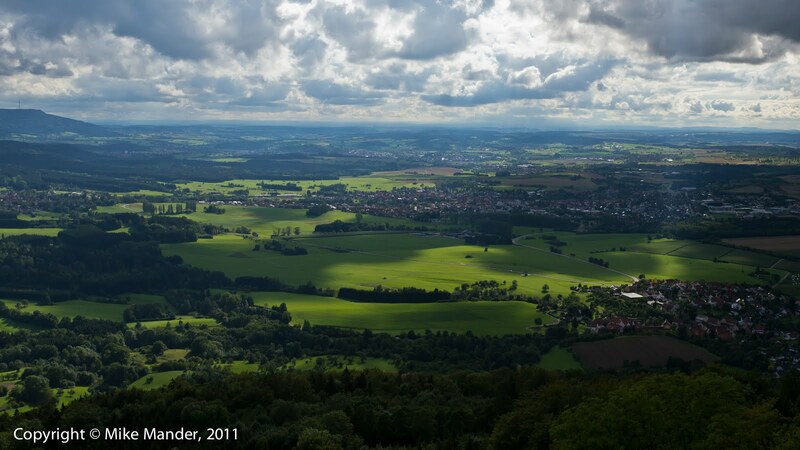 Double tap on the image, and it goes right to a 100% view zoom which you can then pan around. Not visible on this screen, is when you single tap the image, a little zoom slider appears on the left, and you can drag a virtual zoom control up and down to control magnification. Very fluid zooming as well and, as mentioned already, overall very impressive performance considering the file size it was having to deal with. 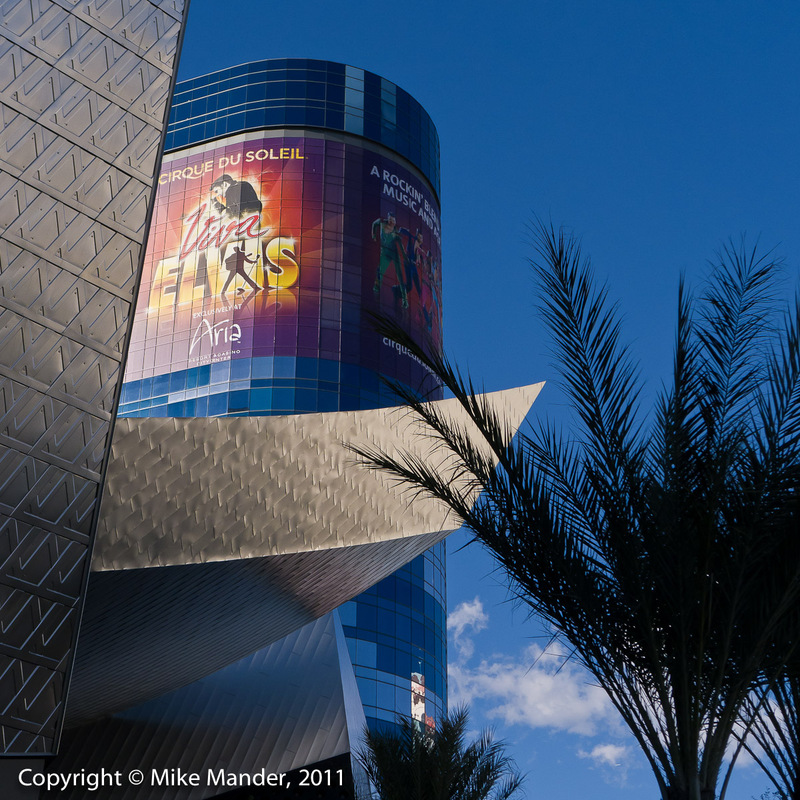 Today was the first day of the WPPI trade show. While not a huge as some PMA shows I've attended in the past, there were still an impressive number of vendors to see. Well, the day before attending the WPPI trade show, the Beau Photo gang wandered around Las Vegas. 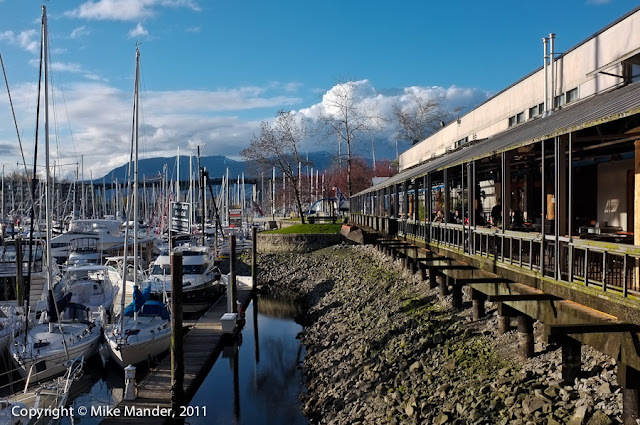 The weather was beautiful and although not hot, it was a fair bit warmer than when we left Vancouver in the morning! 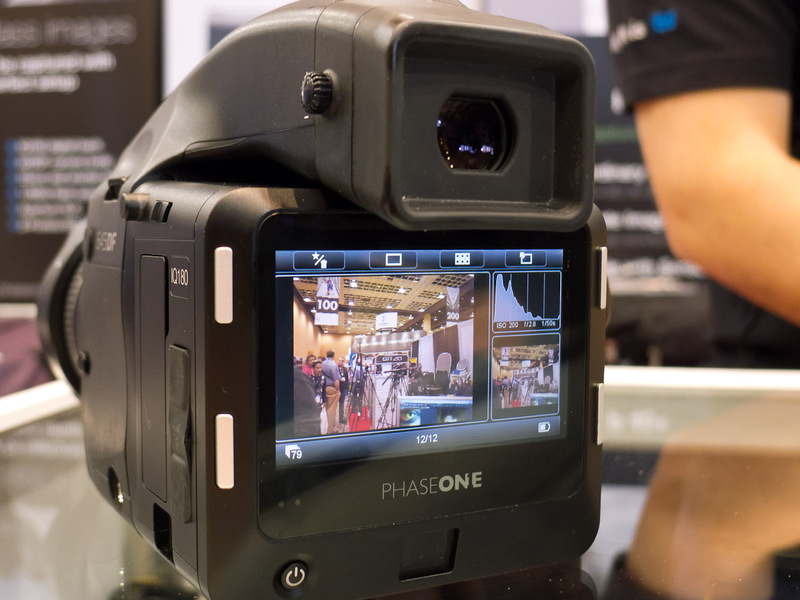 Back in late January, Phase One announced an awesome new series of digital backs, the 40MP IQ140, the 60MP IQ160 and 80MP IQ180. Click on the names to download the respective PDF datasheets. The IQ backs represent the biggest leap in digital back functionality that I have seen in a very long time. This is no subtle warming over, rather Phase One has given us a completely new system with an innovative user interface and stunning hardware. The most obvious change is the new high resolution (290ppi - 1.15 megapixel) 3.2" multi-touch LCD on the back. This may sound familiar to you since it is apparently very similar to the display used on the iPhone 4, so it should provide stunning clarity, accurate colour balance and very intuitive touch-screen operation of the camera. This is clearly a huge step up from Phase One's previous LCD screen and indeed a huge step up over anybody else's display as well! In addition, Phase One has kept the traditional 4-button interface as well for those familiar with that, or for easier operation while wearing gloves. 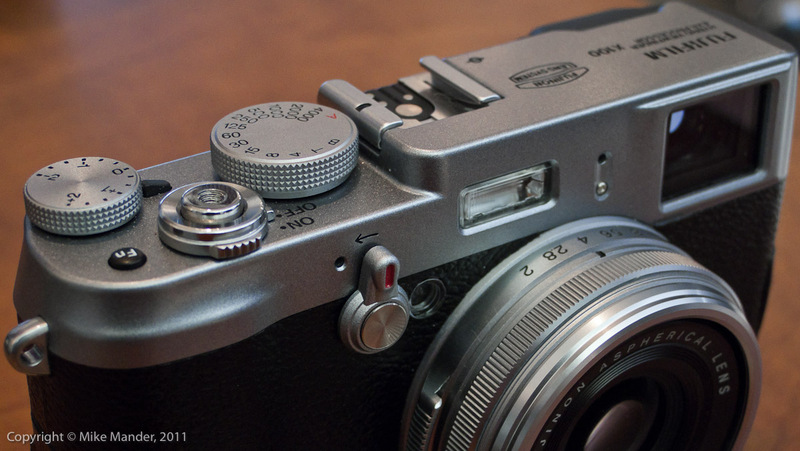 Fujifilm FinePix X100: Hands on!